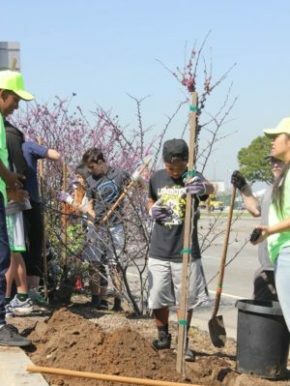 California ReLeaf seeks and provides pass-through grants to ReLeaf Network Members and other community groups interested in planting and caring for trees in California. In the past, grant funding has been provided through the California Department of Forestry and Fire Protection (CAL FIRE), Region IX of the Environmental Protection Agency and the USDA Forest Service. (see, for example, the Recovery Act Grants of 2009).The purpose of these programs is to meet the critical need of creating and sustaining healthy communities in California by providing funding for an array of urban forestry efforts that range from education and outreach to tree-planting projects. Since 1992, California ReLeaf has distributed more than $9 million to nonprofits, local agencies and community-based groups throughout the state for the planting and care of trees on public property, education and outreach projects, green jobs training, and volunteer development. Grant recipients have involved thousands of volunteers in the planting and care of nearly 200,000 trees and have contributed more than $9.8 million in donated goods and services, volunteer time, and matching funds. Stay tuned and sign up for our mailing list to stay up-to-date on our public grants program! The 2019 Social Equity Forest Improvement Grant Program is funded by a grant from the California Department of Forestry and Fire Protection (CAL FIRE), which received money in the 2017-18 State Budget from the California Climate Investments Program to support projects that combat climate change. All funded projects must reduce greenhouse gasses. While significant focus will be on supporting projects located in disadvantaged and low-income communities, 30% of the funds will be open to state-wide competition in all communities. Emphasis will be placed on shovel-ready projects. 2019 Social Equity Forest Improvement Grant Proposals are due by Sunday, March 3, 2019. The webinar posted below was conducted in September, 2018 for Cycle I of this grant program. All of the information presented except workshop dates and funding levels is pertinent to Cycle 2. 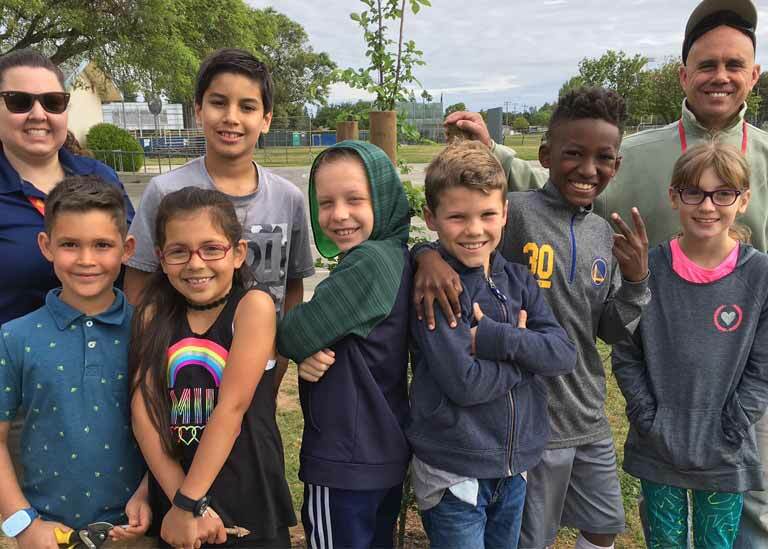 California ReLeaf is pleased to announce $75,000 in statewide pass-through funding for the 2019 California Arbor Week to celebrate the value of trees for all Californians. This program is brought to you thanks to the support of the USDA Forest Service, the California Department of Forestry and Fire Protection, Edison International, PG&E Corporation Foundation, and Sempra Energy California utilities. Stipend awards range from $1,000 to $2,000. For more information about grant eligibility, please see grant materials below.